Auto Key Programmer: TM100 key programmer what advantages compared with the tango? With Our TM100 Key programmer you can generate images for many different original transponders like Philips ID33, Philips Crypto for different ID's and Texas crypto.After generating a new transponder with this Programmer, you will not need any additional diagnostic equipment to program the generated transponder to the car.It will start the car directly! All you need to do is write the new file back into the immobilizer system. 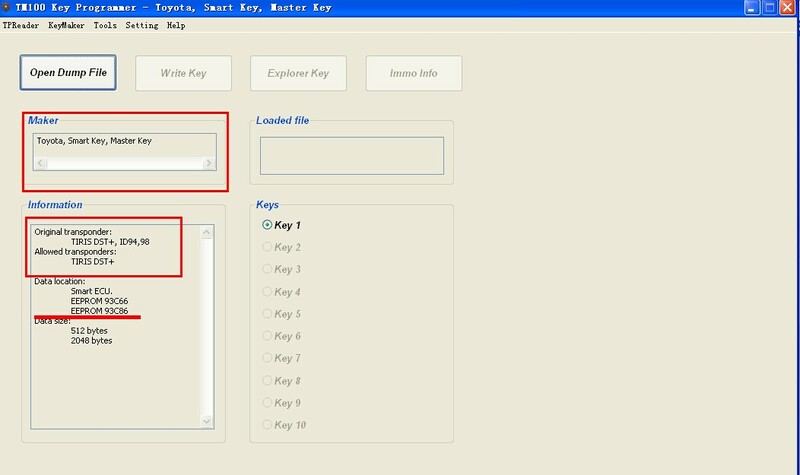 How to use TM100 Key Programmer?